DAYTONA BEACH, FL. 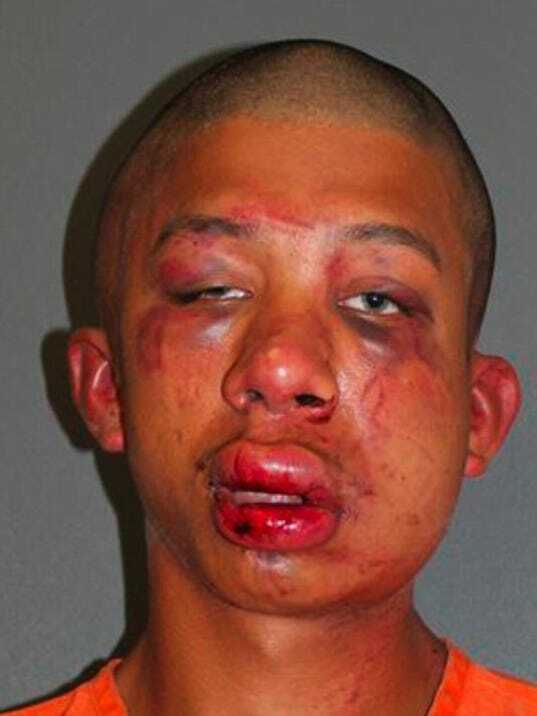 (AP) -- A teenager who was beaten unconscious after a Daytona Beach father says he found him sexually abusing his 11-year-old son has been sentenced to 25 years in prison. A Volusia County judge sentenced 18-year-old Raymond Frolander on Thursday after he pleaded no contest to lewd and lascivious molestation of a child. The victim's father told police that he walked in on Frolander abusing his son last July and immediately attacked the teen. The father called 911 and said at home point, "He is nice and knocked out on the floor for you." When officers arrived, they found Frolander motionless on the living room floor. He had several knots on his face and was bleeding from the mouth. The Daytona Beach News-Journal reports that no charges were ever filed against the father. Outstanding! Problem solved, problem staying solved! Good beat down, Dad! Now, we must all fear evil men. But there is another kind of evil which we must fear most, and that is the indifference of good men. Looks like Mr. Potato Head. Good beating! Perfect. Too bad it's 25 years and not the electric chair. And that's the way it's supposed to be. Good job Dad. I hope his son recovers.